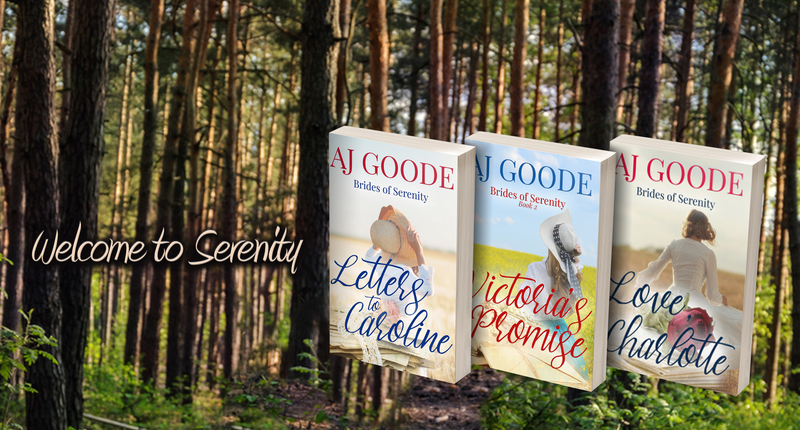 To sample a bit of this series, sign up for my “Sweet Romance Newsletter” and receive a free short story set in the little town of Serenity. Click here to sign up! When Caroline Morgan agrees to marry a stranger in order to escape a worse fate at home, she imagines a peaceful life in the quiet town of Serenity, Michigan. But she finds herself alone in a strange town with nowhere to go, and she is forced to accept a proposal from yet another stranger. Adam Philips needs a wife to help him raise his brother’s children. Heartbroken and betrayed once before, he vows to find a woman who will agree to a marriage without love. And when he finds mail-order bride Caroline Morgan abandoned at the train station, he thinks she just might be exactly what he is looking for. Adam and Caroline soon discover that their growing feelings for each other may change their relationship into something more, but outside forces threaten to rip them apart. As Adam struggles to thaw his frozen heart, Caroline must find a way to keep her past from catching up with her. But will they survive when disaster strikes? The little town of Serenity is in desperate need of a schoolteacher, and Will Baxter thinks he has hired a dependable, older widow. When the young and beautiful Victoria Dawson arrives to take the job, his only thought is to put her right back on the train and send her away so he can find someone more suitable for the position. But when the vulnerable widow insists on staying to prove herself, he discovers that she is awakening feelings in him that he never expected to feel again. Victoria promised her husband on his deathbed that she would start a new life and marry again in Serenity. But first, she has to prove to Will and the other parents in town that they can depend on her to stay and teach their children. Despite her promise, she knows that she can never trust her heart to any man again, and she hates herself for the growing attraction she feels for Will. Can two lonely souls find love and mend their broken hearts together?